What is the Australian Aboriginal Culture? It is the indigenous culture of the original native inhabitant of Australia. It refers to the indigenous culture’s various practices and ceremonies which is centred around their belief of the dreamtime, a semi religious concept that originated in Australia. Accordingly, special emphasis is placed on oral traditions and there is also a high degree of reference and respect for the land. Various individual cultures exist among different language groupings. Indigenous art is something which is a very old phenomenon in Australia going back thousands of years and there are not only modern water colours but also ancient rock art and also in the area of music various unique instruments that has been developed that is indigenous to Australia. Country music is the most prevalent of indigenous Australian music. The only thing not developed by indigenous Australians is a system of writing. 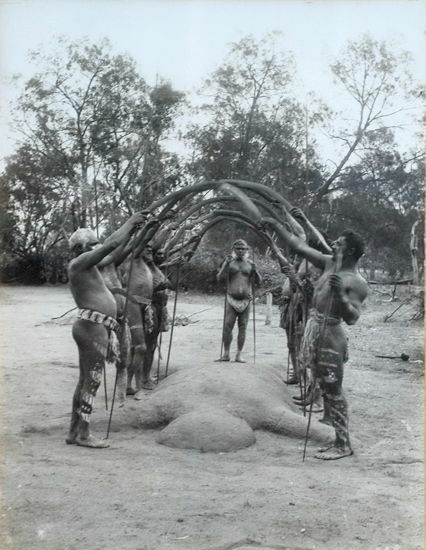 Like the natives of many other countries, Indigenous Australians also have a ceremony where young boys are initiated to become men and this ceremony is known as Bora. Australian indigenous people also have another ceremony known as a corroboree. Another indigenous practice is the burning of patches of vegetation especially in central and Northern Australia which is known in these regions as firestick farming. It makes it easier to hunt in those areas and the burning of that vegetation significantly reduces the risk of major bush fires. Another benefit is that this practice actually changes the composition of animal and plant species in that area. This activity is also know indigenously as burning off and its primary purpose is to destroy vegetation which can become fuel for the next bush fire and this burning off is known to fertilise the soil which actually ensure that there are considerably more young plants which provides food for local animal species. Burning off have long been considered as good land management and taking care of the land which is why it is practiced to this day by indigenous tribes in the North. A cleansing ceremony scheduled to be observed on special occasions and this is known as a smoking ceremony. There are some objects of religious significance which is important especially to Central Australian indigenous people and these objects is known as Tiurunga or churinga. There are a custom where indigenous people will pass through adolescence by living away with their families and this process is referred to as Walkabout. It is known that spiritual values and oral traditions is based on a deep reverence for the native land and also on dreamtime. This dreaming contains two basic concepts, the present-day reality of dreaming and the ancient time of creation. Not all indigenous cultures are the same, but it differs somewhat from group to group and each have their own language and belief structure. It is also a well-known fact that many of these cultures overlap and they have also changed considerably over time. Indigenous people recognise the Rainbow serpent as one of the foremost ancestral beings in all parts of Australia.